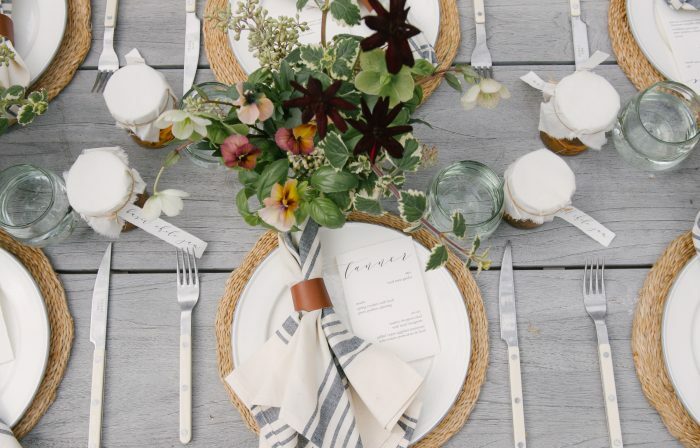 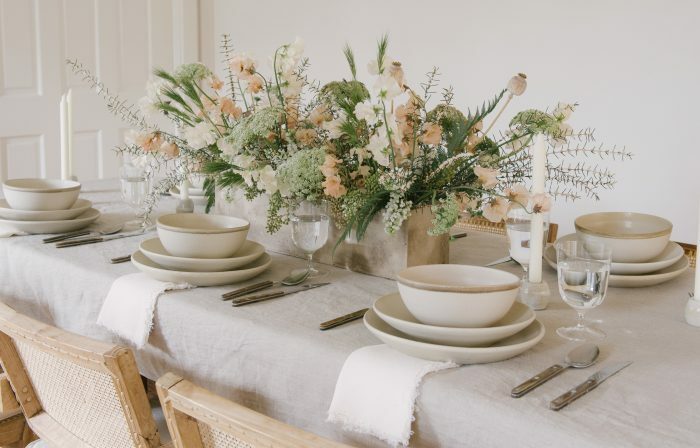 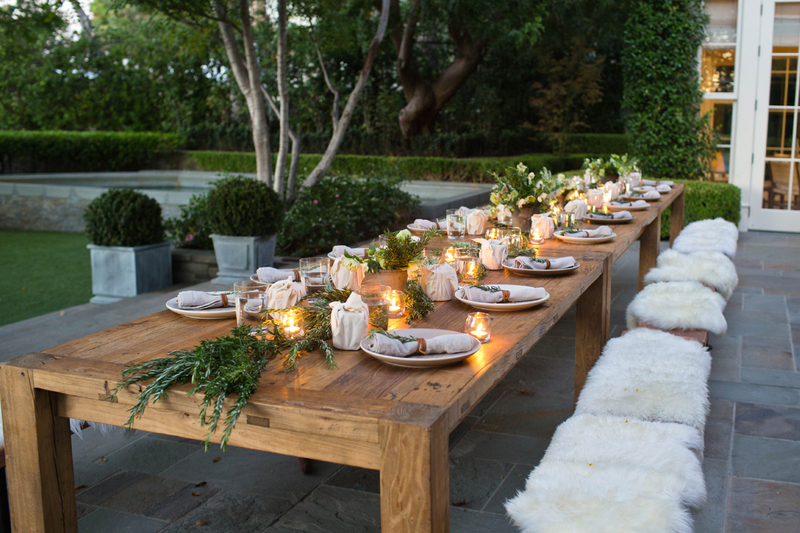 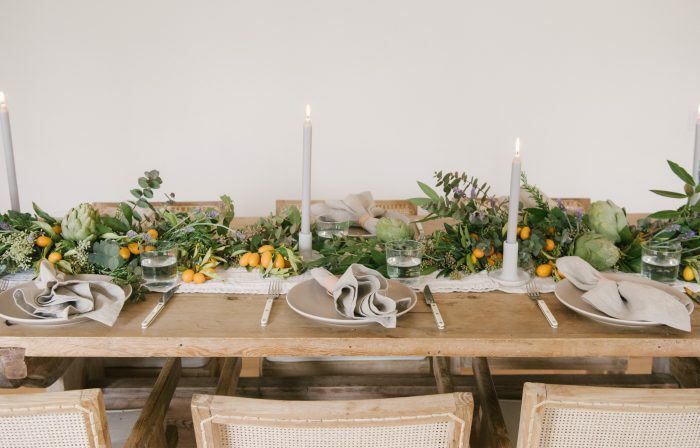 A relaxed, undone table courtesy of an off-the-beaten-path floral favorite. 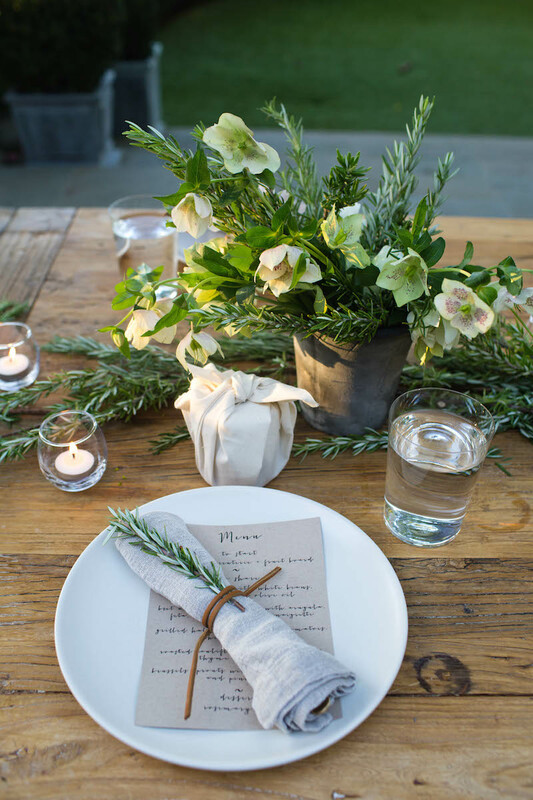 To achieve, Rachel placed clusters of rosemary down the center, in lieu of a traditional garland. 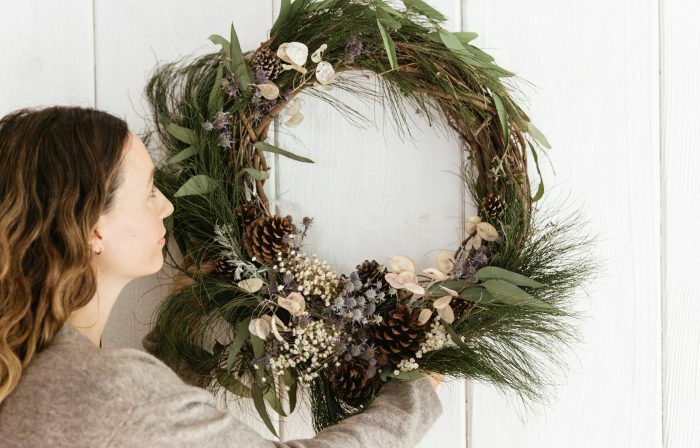 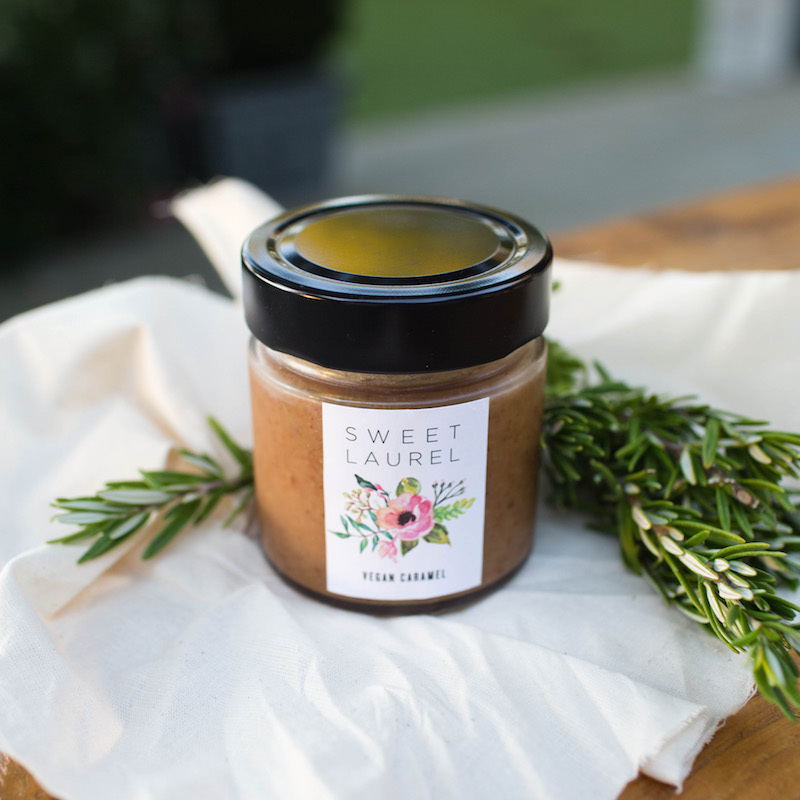 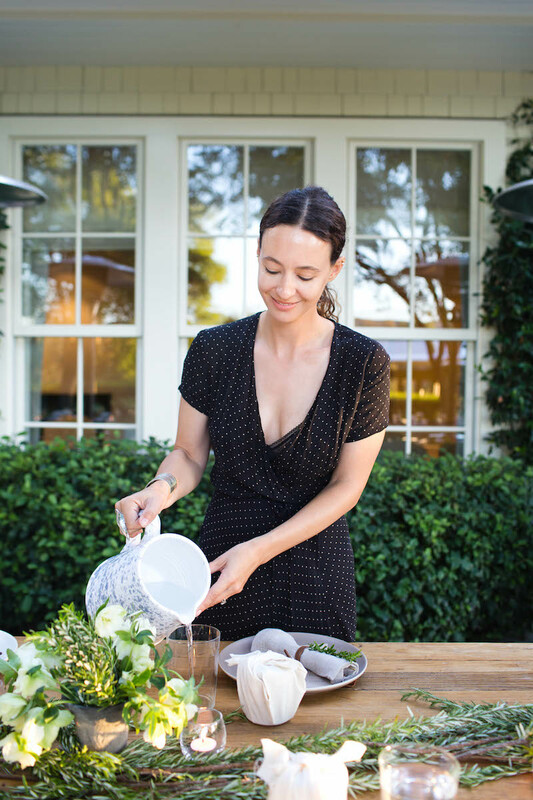 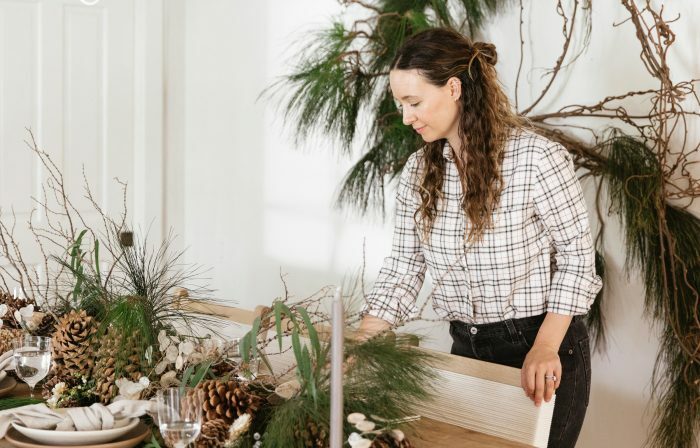 A quick and easy way to achieve the feel without having to wire anything together, this can be done with clippings from the garden or fresh sprigs from the farmers market. 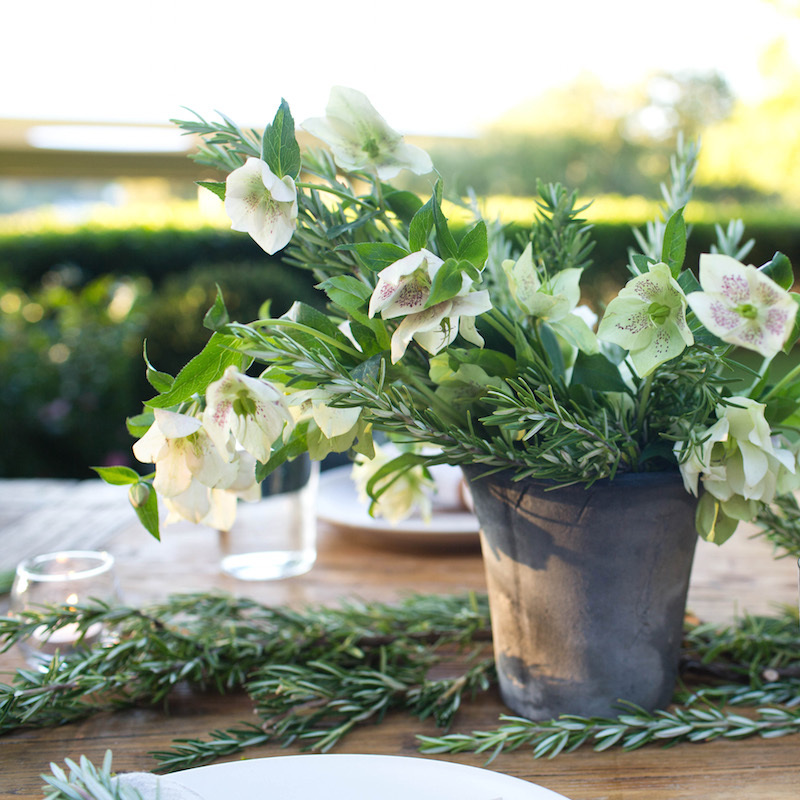 Also in keeping with the relaxed feel, Rachel chose only two floral elements, rosemary and hellebores in grey clay pots. 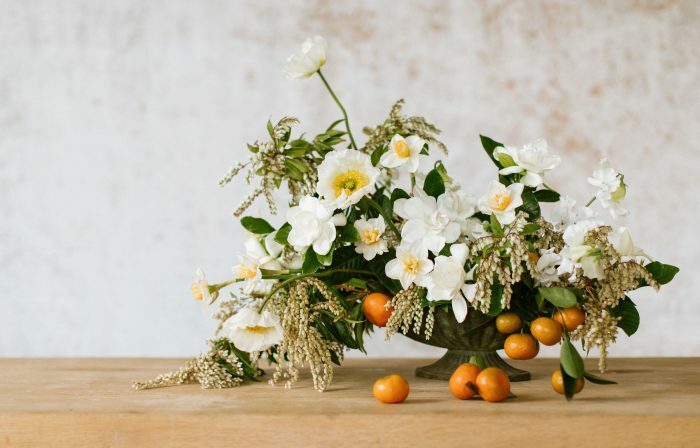 One of her absolute favorites, hellebores is great for a transition into fall as it’s also known as the “winter rose” (even though it’s not a rose at all), and has such an organic shape and coloring. 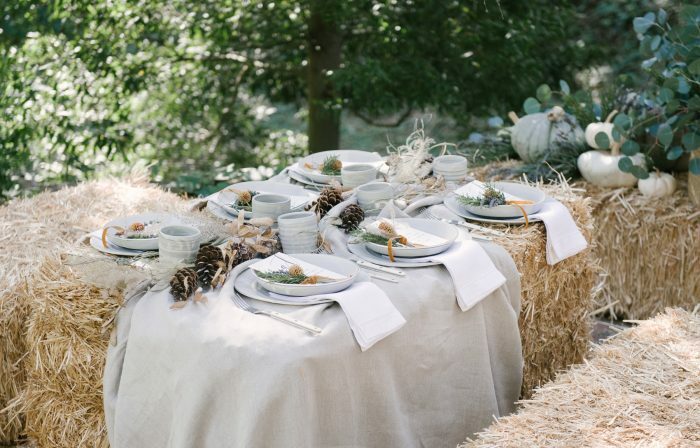 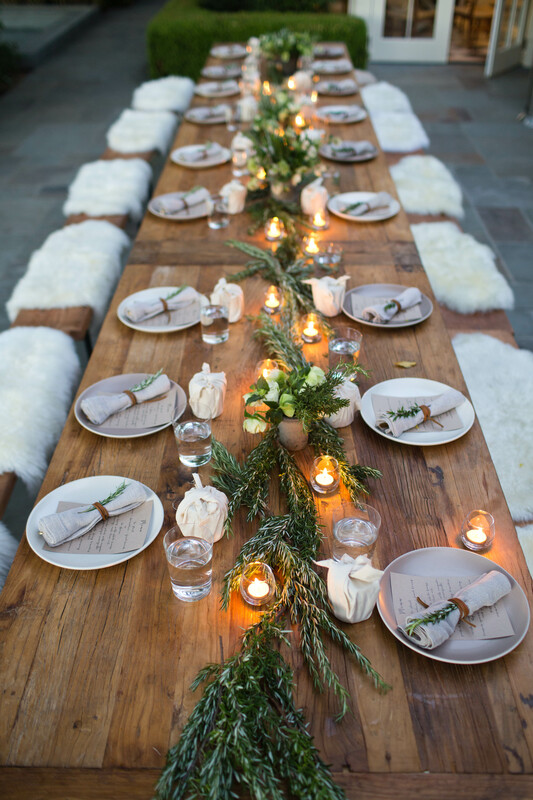 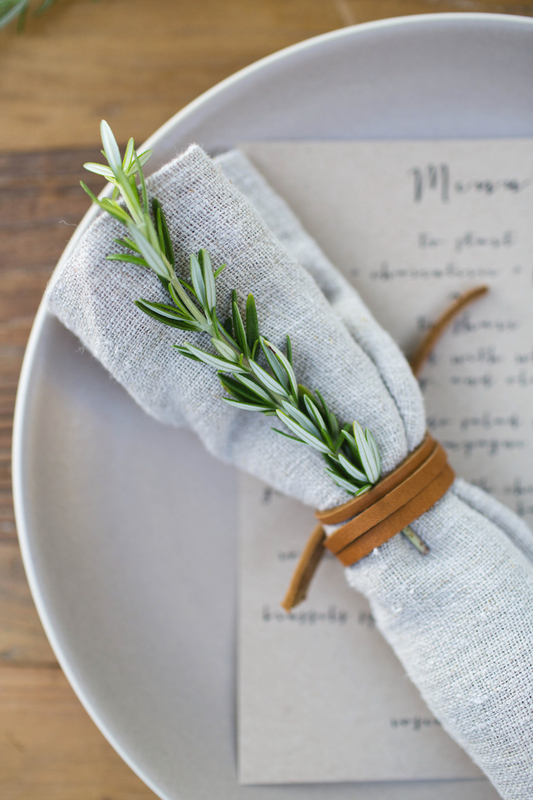 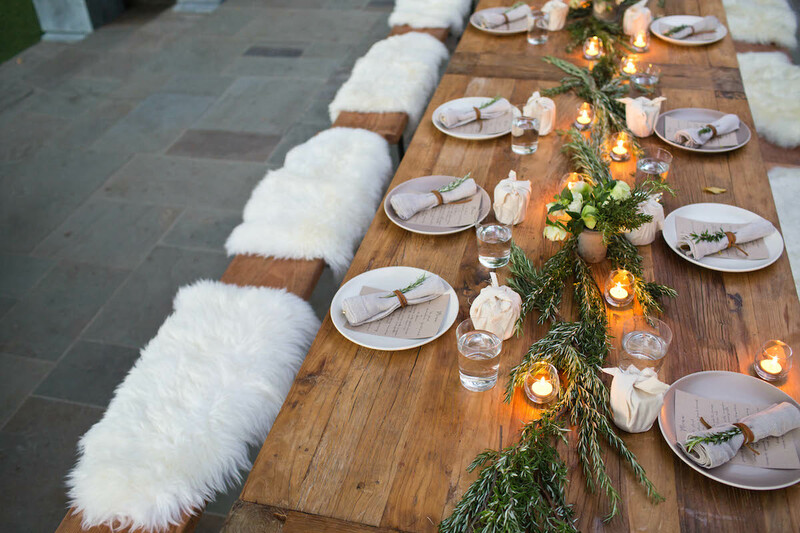 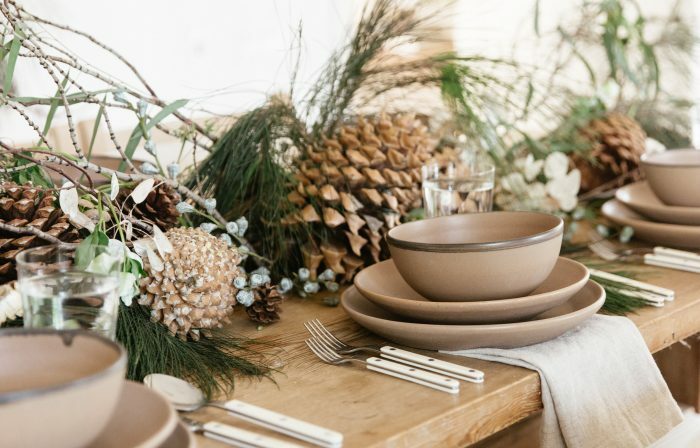 The final element in creating a cohesive tablescape: sprigs of rosemary on top of each napkin, secured with a natural leather tie. 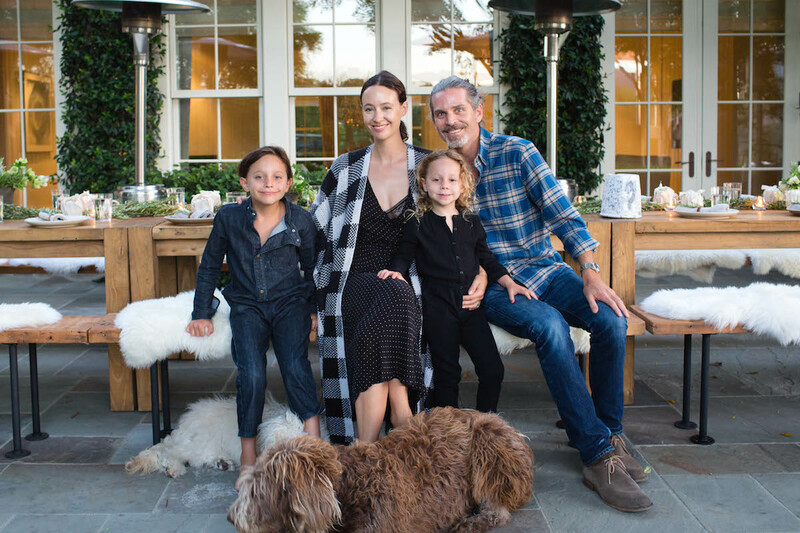 Jenni is wearing her new for Fall Cashmere Wool Wrap Poncho in Black/Ivory Plaid and her Jenni Kayne Slip-On Derbys in Black Leather.